Girl Scouts Pay Us A Visit! Deepest Appreciation to Champions for Children! Special thanks to the wonderful ladies of the Cortez 3rd Ward LDS! 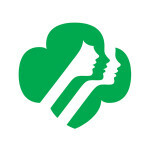 The Four Corners Child Advocacy Center wants to thank the Girl Scouts of Cortez, Colorado for making a contribution to help families in our community.